Gymnastics is a “core” sport, teaching skills that will help your children in any other sport they may try in their lives. Gymnastic skills provide the ability to acquire “general motor skills” which are inherent in many other sports. If these basic movement patterns are not acquired when a child is young, all other learning processes will be much more difficult for them. (For example adults who learn a sport, such as skiing, skating or surfing, have an easier time learning as well as less risk of injury, falls and sore muscles if they have done gymnastics as a child.) This is because our brain stores movement “patterns” which our nervous system accesses as we “develop”. 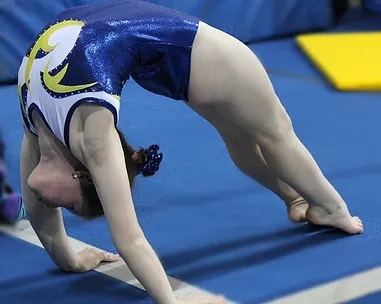 Gymnastics helps all children develop balance, strength, focus, agility, flexibility and coordination as well as help develop listening skills, confidence, self-esteem and self-regulation. 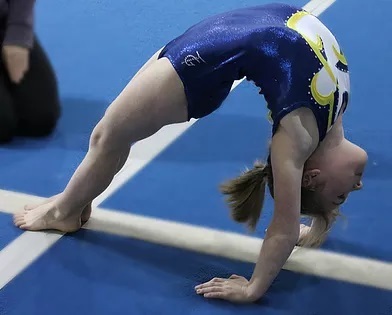 Gymnastics also helps the brain’s cognitive functions by incorporating “cross-over” movements (“across the axis” of the body) which helps the left-brain (language/logic side) and right-brain (creative/spatial/emotional side) work together effectively. In addition to all these core benefits, GYMNASTICS IS FUN! 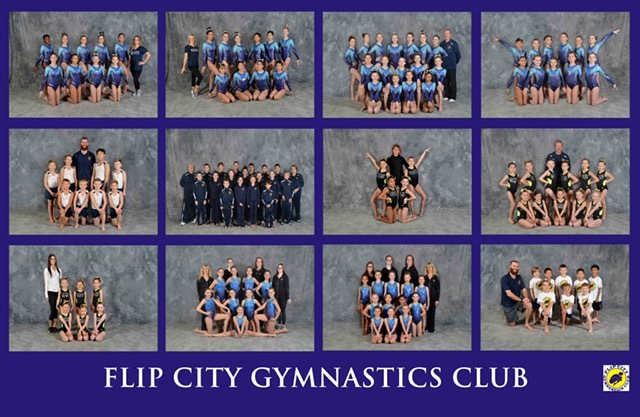 At Flip City, we believe that gymnastics is a joyful expression of youthful enthusiasm for all ages! It is “KICKING UP YOUR HEELS”, taken to the extreme!